Yes yes yes! There's a precious lil' lover in your life who needs to become Crimson Tate VIP?! You're in the right spot. 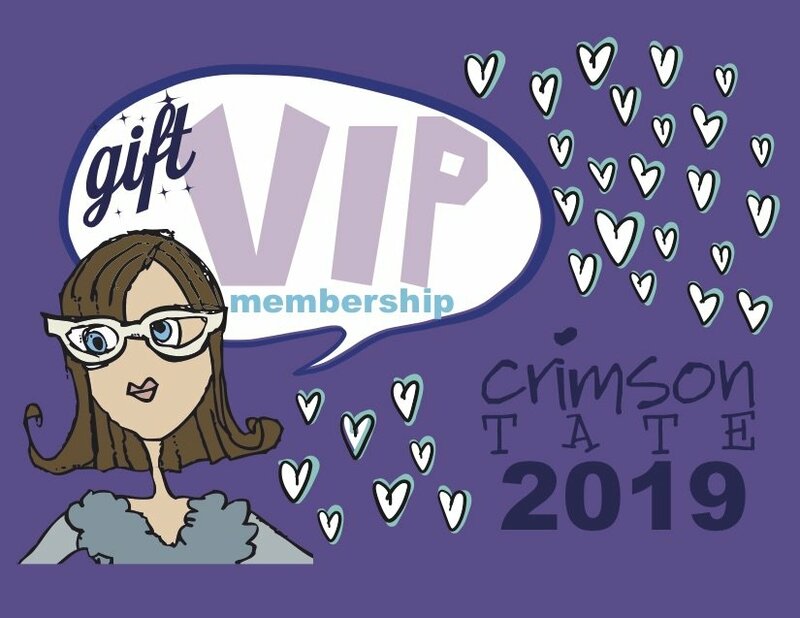 This gift purchase includes the VIP tote bag, the 2019 limited edition VIP pin, and an information card that the gift recipient should complete and return to Crimson Tate. How do Crimson Tate VIP memberships work? First and foremost, this gift includes the coveted Crimson Tate tote bag, sure to create feelings of joy in your neighborhood. I mean, you'll need to let the world know you're important to us. Let that big old purple bag SHINE! 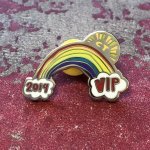 You will also receive 2019’s enamel pin, exclusive to VIP members. Each month, you'll receive a coupon for www.crimsontate.com that is exclusive to CT VIP members. Check out more VIP members only benefits here. Make sure that you're cool with the full list of rules before you sign up. By purchasing this VIP membership, you're promising to hold the sacred perks of our friendship dear to your heart. You may not share your perks – they're just for you!